LETTERS FROM THE PRESIDENT June 2015 - PUBLICATION BY THE U.A.E. As you know, the XXIX U.A.E. Congress will be held in Malaga from 18 to 20 June next with the theme: â€œThe Citizen at the heart of the European Union: from the Convention and the Charter to our daysâ€/â€Le Citoyen au coeur de l’Union Européenne – de la Convention et de la Charte Ã nos joursâ€. 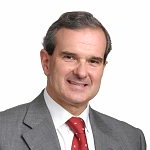 Further to my previous letter on the Congress, I have the pleasure to inform that the President of the Constitutional Court of Spain, D. Francisco Pérez de los Cobos y Oruel, has accepted the invitation that our colleague Agustín Cruz has addressed to him on behalf of the Congress organization to be present at the opening session and to make a conference on the â€œThe protection of human rights of European citizensâ€. It is indeed a great honor for the U.A.E. that D. Francisco Pérez de los Cobos y Oruel presides the inaugural session of the Congress and gives a speech on such a topical issue. Further to quality of the programme prepared by the Congress organization the conference of the President of the Constitutional Court of Spain, D. Francisco Pérez de los Cobos y Oruel, at the inaugural session is in itself a major reason to the U.A.E. members participate in the Congress. Therefore, I would like to invite you to confirm your registration for the XXIX U.A.E. Congress, where I hope to have the pleasure of meeting you. I am sure that the participation of you all will make the Malaga Congress a huge success.